Concealers can work wonders for the face, and I tend to rely on them pretty much every day for ensuring a (near) flawless looking complexion. Concealers have the ability to hide the worst of blemishes; if you know how to apply them properly. 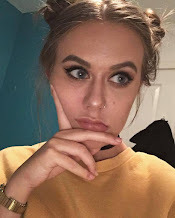 So, in a collaboration with my friends at Into the Gloss and checking out their Best Concealers post, I am here to share my favourites, tips and tricks. 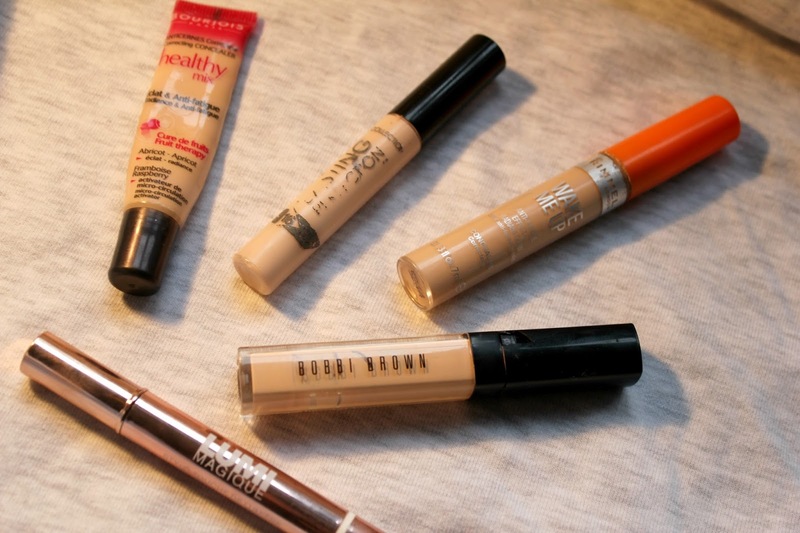 I know most people seem to prefer high end concealers, but in my opinion if you know where to look you can find some gems among the high street instead (particularly good if you are a student and have a part time wage which is the opposite of generous). Usually, I go for the Collection Lasting Perfection for the skin, and heavy duty concealing. Using your fingers is probably the best option because it can look a bit more caked on with a brush. For quick touching up in the day I wouldn't go for this, I would probably pick the Bourjois Healthy Mix because I don't feel the need to powder this when I reapply. There's always the old trick of buying a shade lighter for under your eyes, but I don't tend to do this. For me it seems to look a bit odd, but I think nowadays there are far better brightening options. The Rimmel Wake Me Up and the L'Oreal Lumi Magique seem to be pretty luminous and do a better job of brightening than a lighter shade probably will. The best way for me to do this is to apply a triangle sort of shape and use something like the Real Techniques Miracle Complexion makes it smooth to apply and tends to work the product into the skin far better. The key for under the eyes is to set it (very lightly) to avoid creasing, as well as avoiding a whole lot of layers - a h u g e mistake I used to make with stick concealers in my early teens and ended up looking like I had reptilian skin under my eyes. Once you know how to start with concealing, it's pretty self explanatory and you'll find a routine good for you. There's plenty of posts over at Into the Gloss about concealers if you want to broaden your knowledge even further. great post! I love applying my concealer with the real techniques complexion sponge! I have been loving the urban decay naked concealer at the moment!